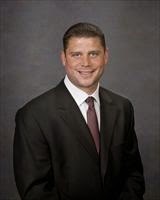 When asked in January 2013 about the state of the construction industry JE Dunn Construction CEO Terry Dunn said, "the signs are positive." In the article from Kansas City Business Journal he gave predictions of continued growth for the Kansas City region over the next 2-3 years. Reaching levels seen in 2006 before the recession adversely affected the industry. 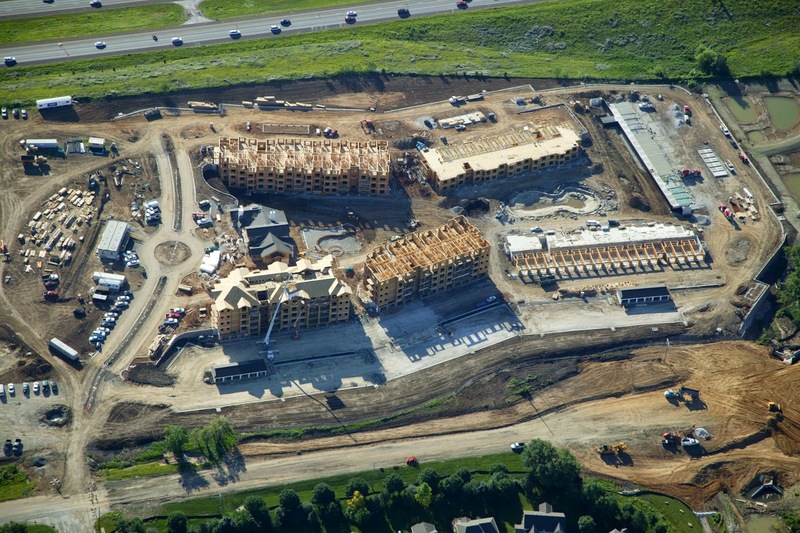 We started construction on our newest multifamily development, WaterCrest at City Center, in December of 2013. 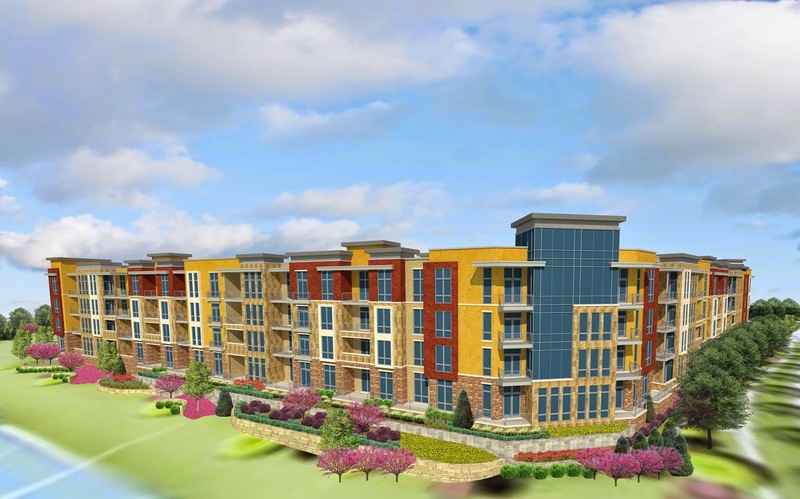 Located in Lenexa, Kansas at the Lenexa City Center, this development will add 306 units to the community. As of now it is on track for a phase one move-in of September 2014, just two months away. Our first phase is scheduled to be complete in mid-2015. Located at College Blvd. & I-35 in Lenexa, Kansas the business park will consist of 12 individual buildings totaling 773,848 SF for use as office-warehouse, flex or showroom space. Building K of the plan has recently been completed and the last available space is set to be leased out soon. Planning is now underway for the construction of Buildings I and J with construction to begin in August 2014. BRES is set to develop this 90-acre mixed use development in Overland Park, Kansas. Its construction will add 1,382 multifamily units, 140 senior living units, 38,860 SF of retail space and 600,250 SF of office space. Look for construction to start in September 2014. For now feel free to view he renderings and photos as we continue to provide updates. BRES is also doing preliminary site development on our Lenexa Logistics Centre and 175th Street Commerce Centre projects. When construction is completed Lenexa Logistics Centre will add an additional 259,244 SF of bulk industrial/warehouse space to Lenexa, Kansas. The 175th Street Commerce Centre will contribute by adding buildings ranging from 20,000 - 1,000,000 SF of build-to-suit space for flex/office, retail and distribution/warehouse in Olathe, Kansas. 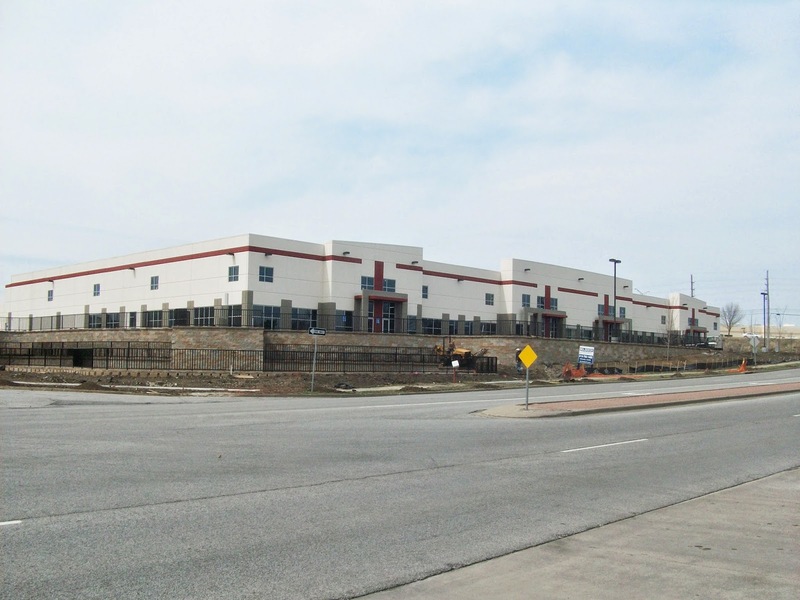 Lenexa Logistics #4 – substantial completion will be obtained by 7/31/14 and Lenexa Logistics #5 – construction will be commencing in August. These projects, along with others in the area, will help Kansas City attain higher levels of construction in the area than seen before the recession. Visit our website to learn more about our current and future construction projects.